I have friends who are visiting Málaga in October, and they have asked for my advice regarding places to eat good-quality inexpensive food. 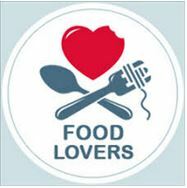 As I am not a food lover, I don´t have a clue what to recommend. Please help, what are the must-try eateries in Málaga? Posted on Sep 24, 2018 Sep 23, 2018 by Inglés MálagaPosted in VocabularyTagged academia ingles malaga, b2, c1, clases particulares ingles malaga, idioms, ingles B1.